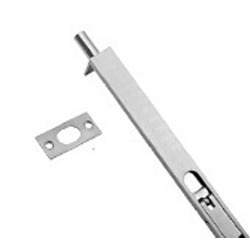 Incepted in the year 1995 at Jamnagar (Gujarat, India), we “Madhuram Overseas” are a well-renowned manufacturer, exporter and supplier of a comprehensive range of Door Hinge, Door Tower Bolt, Door Baby Latch, Door Fitting, Door Glass Fitting, Door Pull Handle and Door Aldrop. These products are precisely manufactured using the best quality material by inculcating pioneering technology to meet set industry quality standards. The offered products are highly appreciated for their features like rust resistance, durability, robustness, high strength, easy installation and sturdy construction. In addition, these products are available in various designs and sizes, which can also be customized to fulfill the exact need of the clients. We are offering our products under reputed brand Madhuram. His sharp business acumen has carved a niche to spread our business across Srilanka,UK, Arab, Europe and African Countries.